Pressure from the soil around your home’s walls can cause your walls to bow and crack. With all the rain that Georgia has, the soil around your home may be holding too much water and exerting too much pressure against the walls of your basement. Atlas Piers of Georgia uses a carbon fiber to repair to take away the tension and pressure on your basement walls. Atlas Piers Georgia is here to help with your carbon fiber repair needs. Your home is an important investment and you want to make sure that it’s foundation stays strong and safe. Carbon fiber puts a durable support system that can support thousands of pounds around your basement walls. 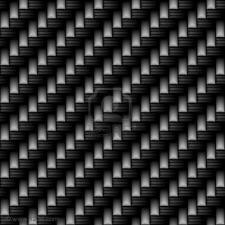 Carbon fiber’s qualities include high temperature tolerance and low thermal expansion. Other important qualities include, high stiffness, high tensile strength, low weight, high chemical resistance. Georgia typically gets 40 to 50 inches of rain annually which can cause the soil beneath your foundation to hold a lot of water causing pressure against your walls. That’s why carbon fiber Georgia is the perfect solution for your foundation repair. When Atlas Piers Georgia installs carbon fiber, there is a lack of evasiveness so we are in and out of your house rather quickly. Carbon fiber is a permanent solution so in the long run, this will save you money. Atlas Piers Georgia uses reliable engineered products from Earth Contact Products. Our personnel are full time certified professionals. Keep your home safe and let the experts at Atlas Piers Georgia answer your questions and give you a free estimate. Contact us today and we will be happy to show you how carbon fiber can be the solution to your foundation problems and give you peace of mind for you and your family.